Join the NJCDD at one of the east coast’s most thrilling theme parks for this fun and lively event, which promotes community inclusion and pride for people with developmental disabilities in NJ, and encourages adults and kids alike to stand together against bullying. Discount tickets are available for $24.99 per person (a savings of $35 per ticket! ), and children under two are admitted free. To take advantage of this special offer, call (732) 928-2000, ext. 2850 or visit http://www.sixflags.com/greatAdventure/tickets and use the Promo Code: NJCDD. The NJCDD will be joined by volunteers from the following organizations, who have partnered with the NJCDD to make this event a success: The NJ Dept. 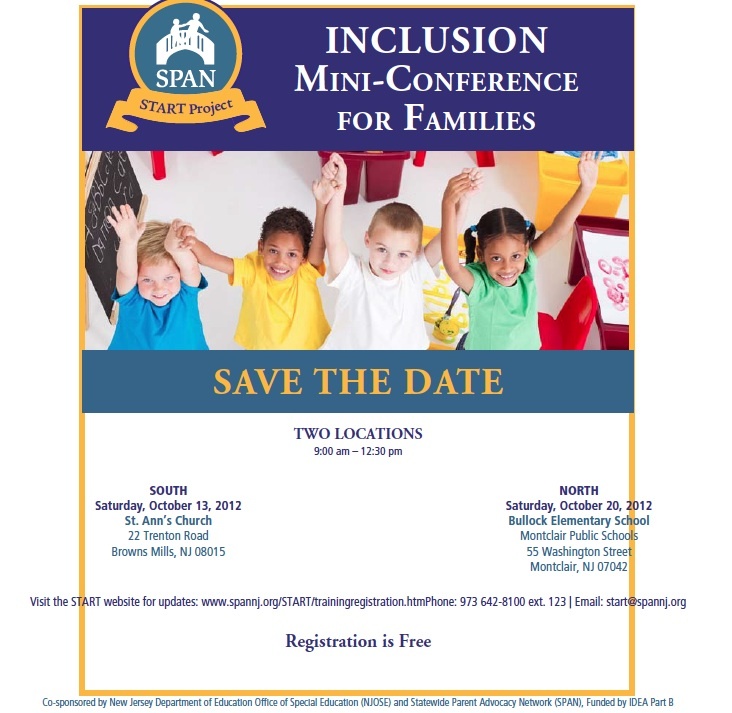 of Disability Services, The NJ Coalition for Inclusive Education, The Statewide Parent Advocacy Network of NJ, Community Access, Ultd., The Supportive Housing Association of NJ, Spectra Academy, The Family Resource Network, Allies, Inc., and Community Options. 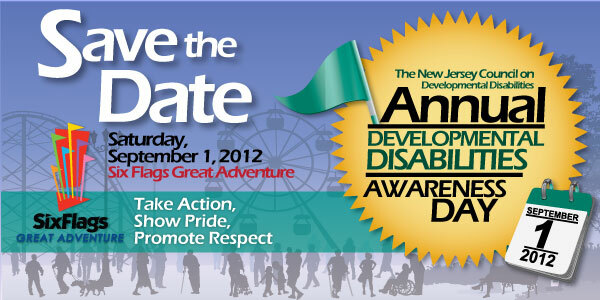 The day-long event begins at 10:30 am with an opening ceremony near the park’s main entrance, where NJCDD staff and volunteers will be joined by special guests, including Jackson Mayor Michael Reina, to raise public awareness of the thriving and diverse developmental disabilities population in New Jersey, and to speak out against hurtful speech and actions against people with developmental disabilities in our communities. This ceremony is open to the press and all park-goers. This year, the NJCDD will kick-off its new Anti-Bullying campaign. Armed with the message “Together We Are Stronger Than Bullying”, we look to raise awareness about the harm that bullying can cause, especially to those with developmental disabilities, and call on the public to come together to put a stop to violence and hate. This new initiative has grown out of the NJCDD’s successful R-Word campaign, which calls on the public to help eradicate the words “retard” and “retarded” from everyday speech and in the media. Tables will be set up throughout the park, where volunteers will be on-hand to give away free Anti-Bullying and R-word T-shirts, plus buttons, bumper stickers, bracelets, and more! Park-goers can also sign the R-Word Pledge promising to stop using the R-word and to encourage others to do the same.